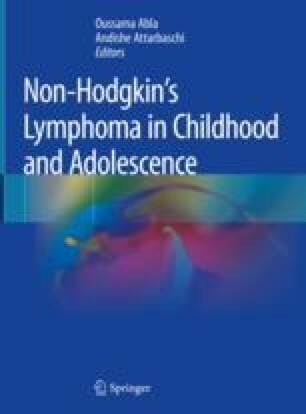 Cutaneous T-cell lymphomas (CTCLs) usually affect adult and elderly patients and are rare in childhood and adolescence. CTCLs most commonly seen in children are mycosis fungoides and its variants and primary cutaneous CD30-positive lymphoproliferations, in particular lymphomatoid papulosis. Hydroa vacciniforme-like lymphoproliferative disorder and hypersensitivity reactions to mosquito bites are cutaneous manifestations of chronic active EBV infection, which are seen mainly in children and adolescents in Central and South America and Asia. Pediatric CTCLs generally have the same clinicopathologic features and clinical behavior as their adult counterparts. Most patients with juvenile mycosis fungoides present with early patch/plaque stage disease, and progression to advanced stage disease is rarely observed. Diagnosis and treatment of these rare conditions can be challenging. Clinicopathologic correlation and a multidisciplinary approach with close collaboration between pediatric oncologists, dermatologists, and pathologists are the best guarantee for correct diagnosis and adequate treatment.